Availability: This product is discontinued and no longer available for purchase. For alternatives browse our Butterfly department. 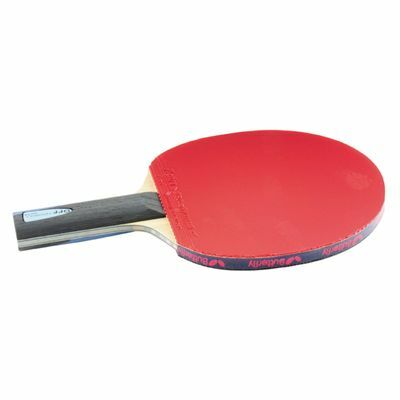 The Butterfly Timo Boll Forte Offensive table tennis bat has been designed for aggressive, developing players and has a strong 5 ply blade and a comfortable, flared handle. The ping pong bat is approved by the ITTF (International Table Tennis Federation) and is endorsed by 6-time European Champion Timo Boll. The bat boasts Flextra rubber and a 2.1mm thick sponge. The 160g (5.6oz) bat has butterfly edge tape for its protection. for submitting product review about Butterfly Timo Boll Forte Offensive Table Tennis Bat.